Victoria Secret Love Spell body lotion and body spary review. 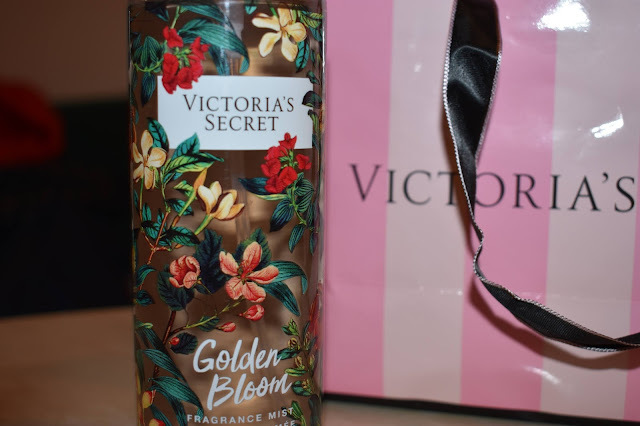 In my blog post about Stockholm trip, I told you that I got an amazing present from Victoria Secret but since it was like my Christmas present that I choose myself I couldn't use it and couldn't show it to you. But since Christmas is long gone I can tell you all about it. So yes, I said to my boyfriend that I won't leave till we find Starbucks and turns out that two shops that I adore (and mainly it is because we don't have them here in Latvia.) were next to each other, ohh guess how happy I was haha. And I got even happier when my boyfriend said in the Victoria's Secret choose what you want, that will be your Christmas present. And it made me even happier when I noticed that at the exact moment they had this great offer 3 for 2. And this is the Love Spell that I got. What I absolutely love about this is its smell, because honestly, I have never had a body lotion with such a strong perfume. Also, the lotion is very moisturizing and kind of have an oily texture, but it absorbs into the skin pretty fast and all you have is a very well smelling and soft skin. What surprised me the most about the body spray was the long-lasting smell that my friends misunderstood for perfume. Honestly, I am so so so happy with these two. The perfume they have might be a little too sweet for some, but I absolutely love sweet smell. And this is the third thing I got but me being the amazing sister I gave this to my sister. This one is not so sweet as Love Spell but is fresher I would say. It also has a strong perfume smell and lasts for the whole day. What you have used from Victoria's Secret products? I hope you enjoyed my little review. Great review! I use to always use the love spell body spray! I love the way it smells.